I am a really big fan of the BBC Sherlock starring Benedict Cumberbatch as Sherlock. I recognise there is a lot that is questionable about it; especially for fans responding to sexism and homophobia concerns and I don’t want to go too far into that here. Point is, a lot of people welcomed the new American version in Elementary and I resisted because I didn’t love the way that they went about getting permission to make the series. I was also a bit concerned that turning Watson into a female was going to be a tokenistic and sexist effort and wanted to wait until the first season had finished and I had feedback from people about how good or not good the show was. 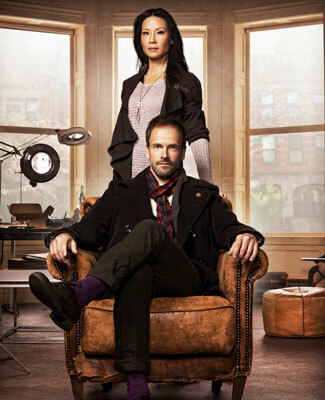 After a season and a lot of positive reviews I decided to give it a go and I have to say I was holding out hope based solely on the casting; Johnny Lee Miller is fantastic is the things I have seen him in, Lucy Liu has often outperformed her peers and Natalie Dormer holds a very special place of esteem in my heart for her talented portrayal of some very fantastic women. 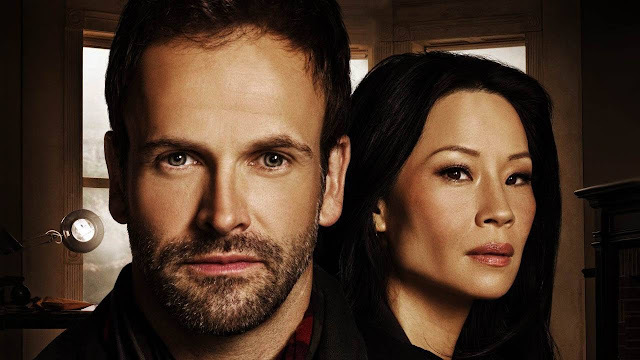 Elementary gets one thing perfect from the get-go; it doesn’t rob from the BBC’s Sherlock. Both Holmes and Watson are completely fresh characters with fresh performances. Lucy Liu is really fantastic as Watson and Johnny Lee Miller is a frenetic Sherlock. The duo set about solving crime in a much softer way than the BBC Sherlock. The darkness of Sherlock works very well but Elementary is a different kind of show and I am very glad that they have owned that. Hard to give it a star rating at this point because I haven’t seen enough but it’s definitely worth a look! This might be a premature review for some because I have only watched one episode of this show but REALLY? Let’s say then that I am reviewing the pilot and my propensity to watch this show in the future. If you ask me, Vikings is basically a way of cashing in on the recent success of Game of Thrones and if you have read some of my previous posts you will know how much I adore Game of Thrones. 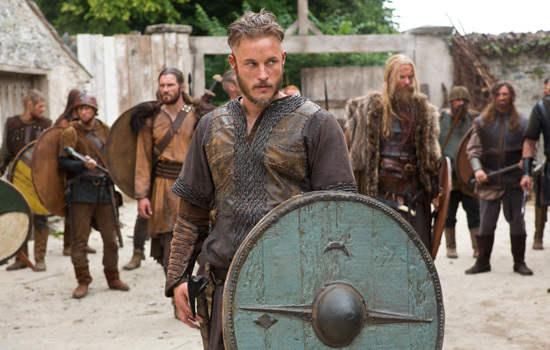 Having said that, it seems that I should love Vikings and I really don’t love Vikings. The pilot barely holds together as a story and certainly doesn’t leave the viewer desperate to find out more about the characters and their world. There’s some violence for the sake of violence, some arguing, some more violence, a cursory look at culture and a hint at an adventure based plot but somehow lacking any sense of adventure. It seems clear that the cast don’t really gel and aren’t really that interesting or engaging. Am I going to be watching more based on that pilot? Probably not. Maybe I’ll eat my words. I recently re-watched this miniseries for a friend's birthday and though it’s really cheesy I really enjoyed it even on the second round. I wouldn’t say it was everyone’s cup of tea but if you like Jane Austen and Pride and Prejudice then give this a little bit of a whirl; bearing in mind that it is very Mary Sue and completely owns that fact. Everyday girl Amanda Price is an Austen fanatic and loves to escape her mundane and loveless life in Pride and Prejudice. This is all fine until one day Elizabeth Bennett finds her way into Amanda’s bathroom and Amanda ends up in the world of Austen and living with the Bennett’s. As she tries desperately to keep the story that she has read and loved on track things spiral out of control, threatening to re-write the classic. Yes, it sound painfully hideous but if you are willing to accept some cheese and some romantic tropes it's a good little mini with some interesting twists on the original story. Miranda is a UK comedy performed and written by Miranda Hart. I was pleasantly surprised by how funny this one was! I haven’t seen a lot of comedies written and lead by a woman and starring a predominantly female cast of comedians. Miranda follows the adult life of the name character as she tries fairly unsuccessfully to navigate the perils of being single in her thirties. Miranda herself seems to be a pretty average person with a juvenile sense of humour and a lot of socially awkward ticks. She’s invested in a joke shop and asked her hyperactive best friend to run the business. Her mother is constantly on her back to get married and often comes into the joke shop to remark on something or another. Miranda’s love interest becomes a chef next door and the two embark on an awkward friendship and ex-Doctor Peter Davison shows up to play Miranda’s high school French teacher who starts dating her best mate. It’s pretty darn enjoyable really! 3.5 Stars. Suburgatory is another comedy offering but this time from the US. I found myself drawn to the concept; a single father and his teenage daughter trying their hand at suburban life and all of its perils. The two lead characters are funny and the neighbour tropes are celebrated throughout the show. Alan Tudyk of Firefly stars as a particularly comical friend of the father. The thing about Suburgatory is that it’s good but it’s not great. I enjoy watching it but I don’t look forward to watching it and I am not sure if the humour is quite my cup of tea. That by no means makes it a bad or unfunny show but after 5 episodes I found that I wasn’t particularly invested in the characters and their story so while I am happy to watch it if it’s on TV or there’s nothing else on I am also happy to not watch it deliberately.